Reasons for concern: This plant quickly creates large, dense stands, which overwhelm native grasses and other native species, decreasing native plant diversity so important to wildlife and pollinators. Plants produce many seeds that remain viable for years. Botanical description: Tall, erect stems with very distinctive flowers at the tips. 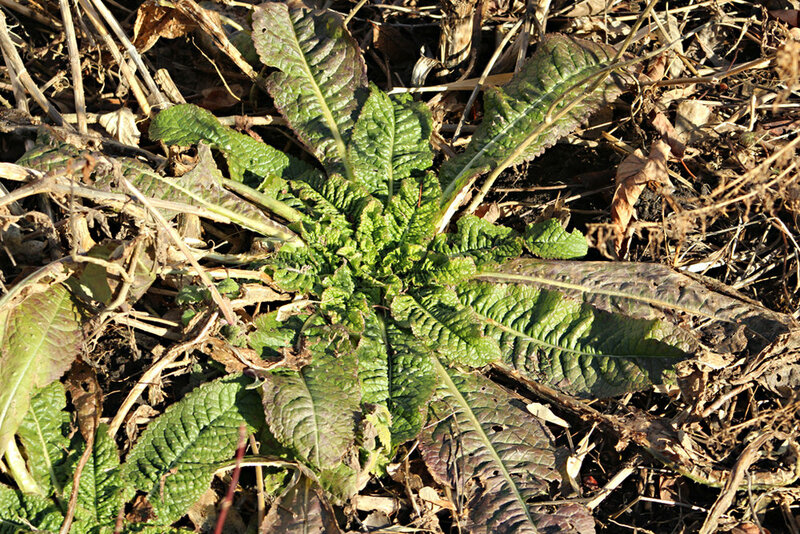 Leaves: Rosette, with oval, wrinkled leaves, grows in Year 1. In the second year, stem leaves are lanceshaped, with rounded or scalloped teeth on the leaf margins. Up to 10 inches long, the leaves are attached directly to the stem, opposite each other. Where leaves clasp the stem, a small cup is formed, which occasionally fills with water. 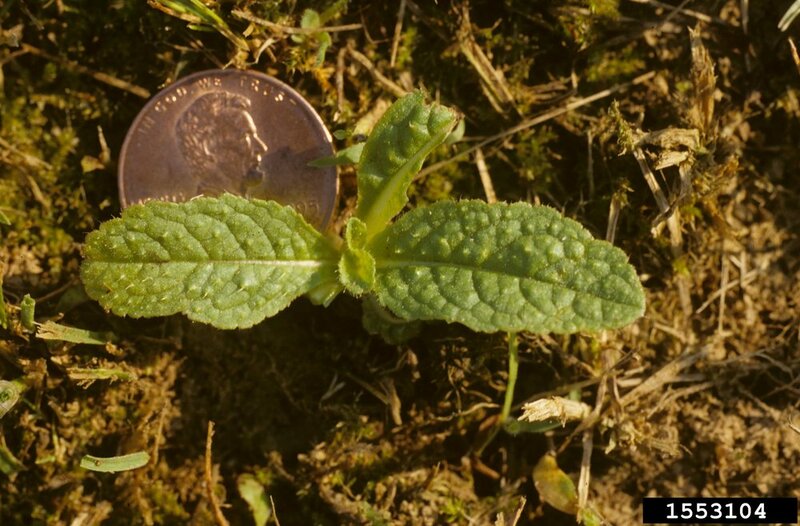 All leaves have short, stiff prickles on lower mid-vein of leaf. Stem(s): Coarse, prickly stems develop in the summer of Year 2. They grow up to 6 or 7 feet high, and are highly branched near the top. Small spines on the stem point downward. Dead gray-brown stems can persist for a year or more. Flowers: Very distinctive purple to white flowers are small and densely packed on large egg-shaped flower heads that range from 1 to 4 inches long. Small flowers bloom in circular pattern around large heads from April to September. Narrow, spiny bracts or modified leaves surround flowers, and extend up higher than the flower. Seeds: Mature September through November. Most fall near parent plant. Roots: Strong, yellowish taproot may be more than 2 feet long. Native to: Europe. Teasels are recent arrivals in Coconino County. Where it grows: Open sunny areas. Moist sites. Disturbed areas, such as fields, roadsides, waste grounds, and ditches at elevations of 6,900 to 8,400 feet. Life cycle: Biennial, occasionally short-lived perennial Teasel flowering stalks. Weedy characteristics: A single plant can produce more than 2,000 seeds. Remaining seeds stay viable for at least six years. Stands can become dense and impenetrable. Seeds can be spread by water, mud, soil movement, human activities, and animals. Dried blossoms are often used in flower arrangements, especially at Christmas, further spreading seeds. Control strategies: Dig out the rosettes in year one. Prevent seed production and dispersal. Be sure to bag any flowers or seed for disposal. Remove as much of the taproot as possible, keeping soil disturbance to a minimum. Be diligent every year until seed bank is depleted. Frequently monitor previous infestations for new growth. Plant desirable native species to outcompete invasives.